We are definitely on a countdown to the holidays now. The children are enjoying the final school weeks, but there is lots going on and they are exhausted, it’s time for a break to relax and play. This week has seen lots of trips and treats for the children, whilst I have been organising plans for the holidays and starting to prepare for September. 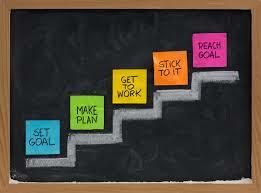 Friends have been surprised by my preparation but it means I can relax in the holidays without a long to do list. 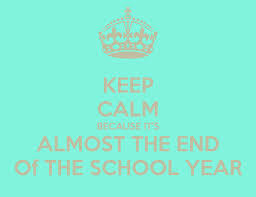 I want my holiday to be fun and carefree not fretting about school uniforms and gymnastic clubs! I finished ‘When God was a Rabbit’ and remained unimpressed. It was so contrived and the clues so planted, the tarot card reading and Twin Towers episode was just crass and it felt like a countdown of all the major events in the past generation with a tenuous link to a story. I feel quite sad when I read a book I don’t like; I want to appreciate an author’s work. 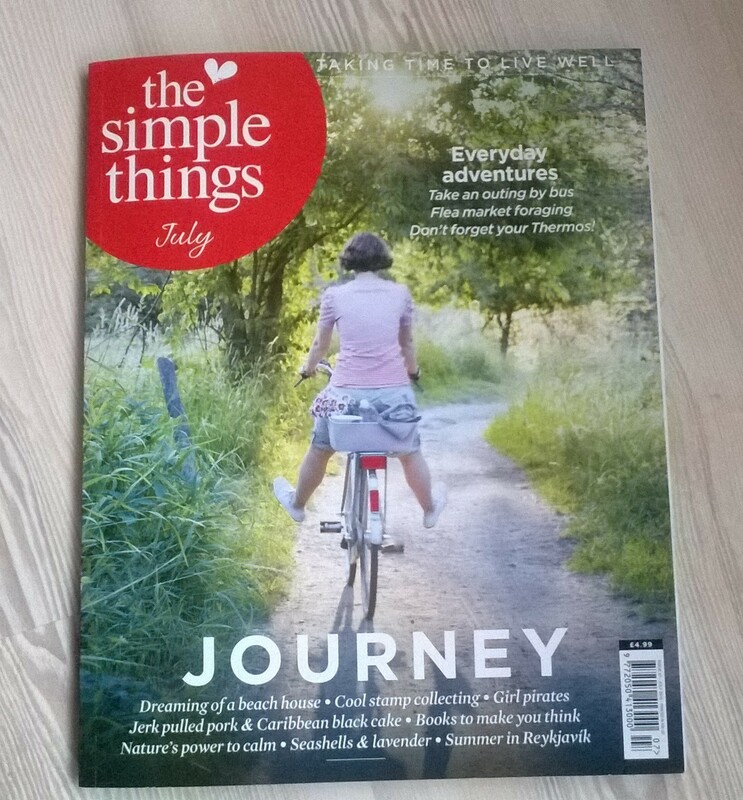 I bought a new magazine this week, The Simple Things. It’s a coffee table type of magazine and very aspirational but I do like its simplicity and ideas. Its inspired me to add a visit to a French flea market to my bucket list and I loved the articles on nature, lavender and beach houses. There’s a lovely visual piece on shells which I’m going to photocopy and use it to help us identify the shells on the beach. I was surprised to some acquaintances in a feature, the seaside lifestyle is quite popular at the moment, another friend also appeared in a recent edition of Prima. It was the parent’s viewing class in ballet this week, so I got to watch Little Miss dance. She has got such natural rhythm and coordination and she dances so gracefully it’s beautiful. I was able to record her perform a solo and sent it through to Grandma who was very proud and impressed. I also watched a spectacular storm from my bed. 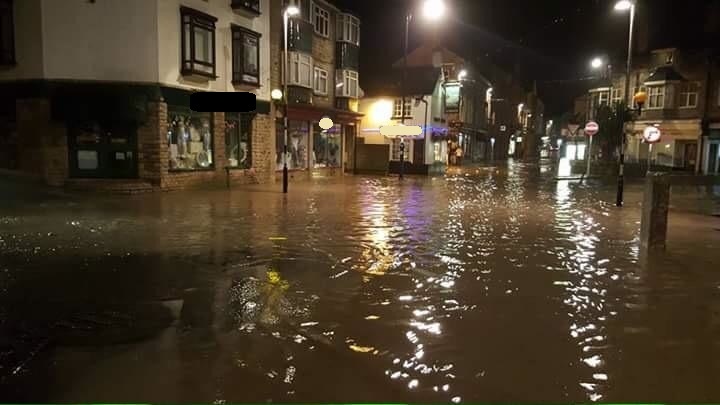 It was unexpected as at 7pm in the evening when we were at the school fayre the weather was hot and sunny, yet at 11pm we were experiencing a storm with so much lightning and rain, I have never seen anything like it. It was a mix of exciting and a little scary, the sky was so lit up and I was genuinely concerned about a strike near us. 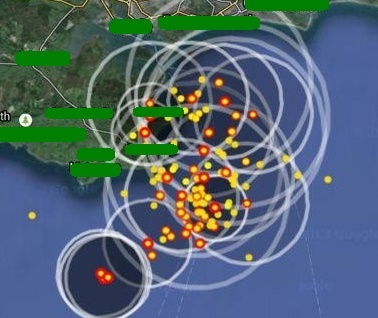 The pictures below are a map of the lightning strikes which illustrates how intense the storm was and the flooding in town, we had half a month’s rain in just one hour. 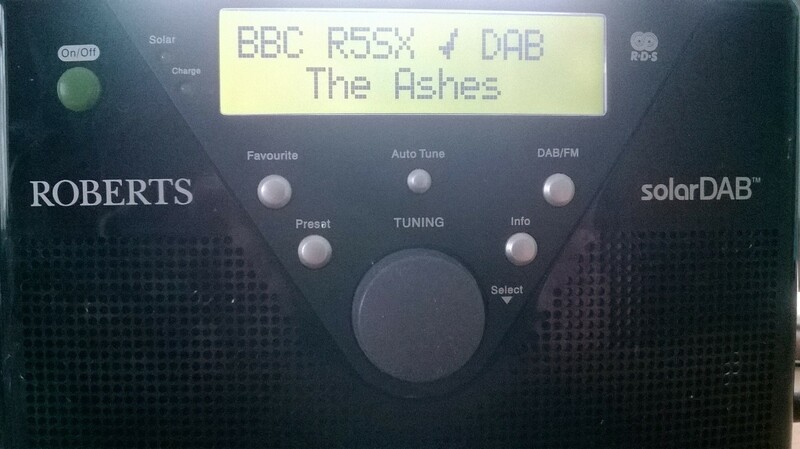 I have been eagerly awaiting the start of the Ashes this week and was tuned in to Test Match Special for the start. I have very happy memories of the Ashes series, both in Australia and at home, cricket reminds me of happy times, good friends and sunshine and TMS is the perfect accompaniment. We do have Sky Sports and if Mr S is home the cricket, highlights and analysis will always be on in the background but to me TMS is the spirit of cricket, I love the commentary, talk and relaxed presentation, its perfect company and keeps me entertained and makes me smile throughout the day. It also has the best theme tune to any programme! 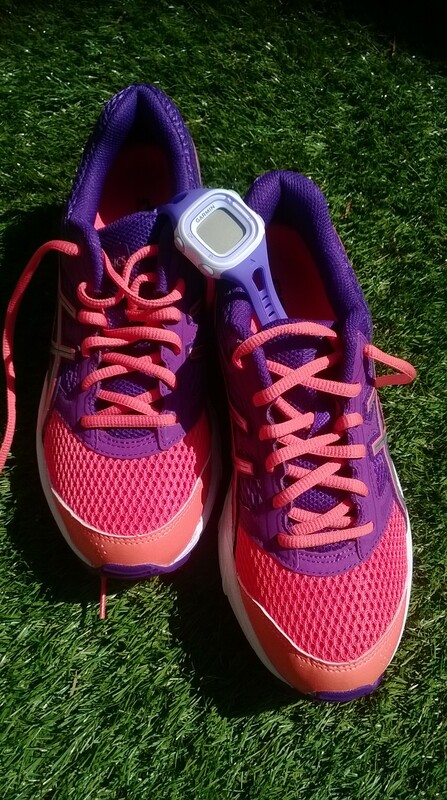 I made a new running plan this week as I have managed to run on three occasions this week without pain or niggles, I am so happy and looking forward to some races and achieving new goals. I also made lots of personalised cards this week on the Funky Pigeon website, July is a very busy month, so I took an hour out to make the teachers and TAs thank you cards, and family and friends’ anniversary and birthday cards. I have sent the cards directly to the recipients so I can relax now knowing that everyone will get a card on time. A couple which were sent to me have arrived and I’m really pleased with them. I do think its good value doing the cards online, I love to send beautiful, thoughtful cards and was getting a bit fed up with cards made in China, this way my cards are produced in the UK. I have worn two pairs of new shoes this week. 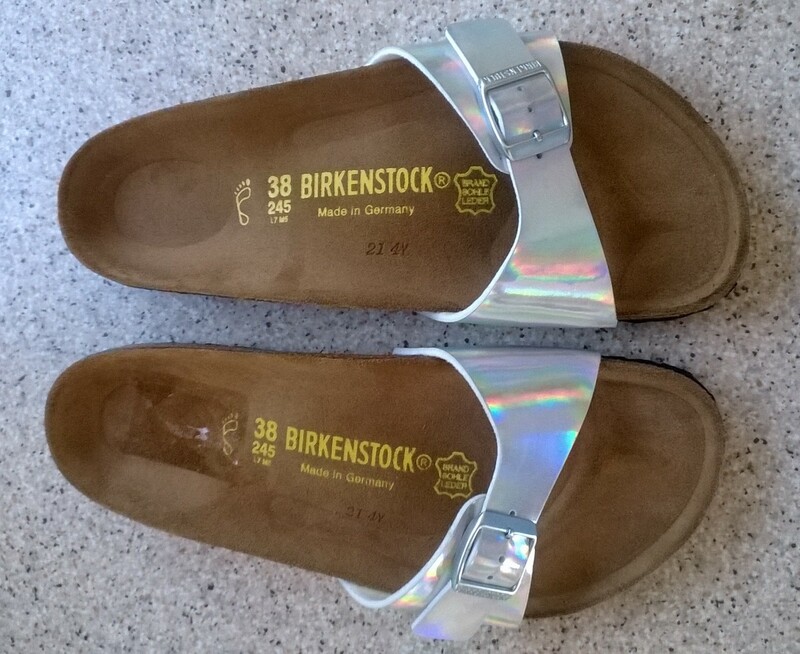 First are my Birkenstocks, for years I’ve fancied a pair as I have friends who swear by their comfort and design. Last time I went shopping I was very nearly tempted and then felt a bit disappointed that I hadn’t tried them on. On this trip, I was delighted that the ones I liked were in the sale and when they fitted perfectly I bought them. They feel a little odd to begin with but I think I’m a convert. The second pair of shoes is a new pair of trainers. After two successful runs I just happened to be driving past the running shop and as there was a space outside I parked and just popped in to see what they had! My trainers are always my most expensive shoes and the only ones which ever wear out. These trainers feel good and were comfortable and supportive when I went for a run.